For the longest time, Facebook’s iOS apps have been terrible. On the iPhone and iPad, the app utilised a UIWebView interface, taking longer than it should to load, notifications were intermittent and the app crashed frequently. However, that’s all about to change with launch of version 5.0 for iOS, which is now available on the App Store. Facebook’s new native iOS update (for both iPhone and iPad) isn’t just quicker, the company says that it has been built from the ground up and twice as fast as the previous version when launching it on your iDevice. The app does away with the web views that have plagued the app from day one, causing it to perform worse than comparable apps. They have been replaced by code that uses the native elements of iOS instead. As a result, scrolling through your News Feed will be buttery smooth and you can interact with photos instantly, using gestures to open and close. Content loads immediately and notifications register right away, so you will no longer have to keep refreshing or force-close of the app to register them. When new stories come in, they are immediately displayed in a banner notification which, when tapped, will automatically load those updates. You’re not going to need to keep manually refreshing to see updates, you’ll just be notified the minute they come in. 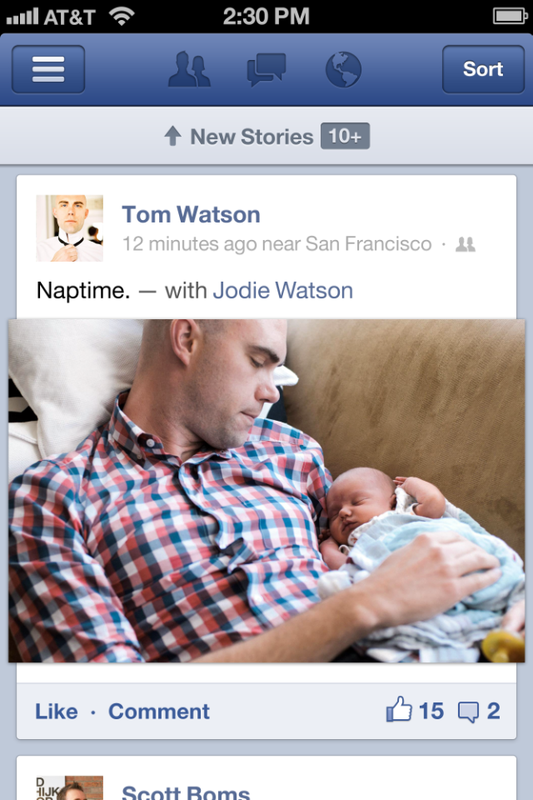 Because Facebook loads all content automatically, a simple tap on a photo opens it immediately. Finished looking at that photo? Close it with a simple swipe. 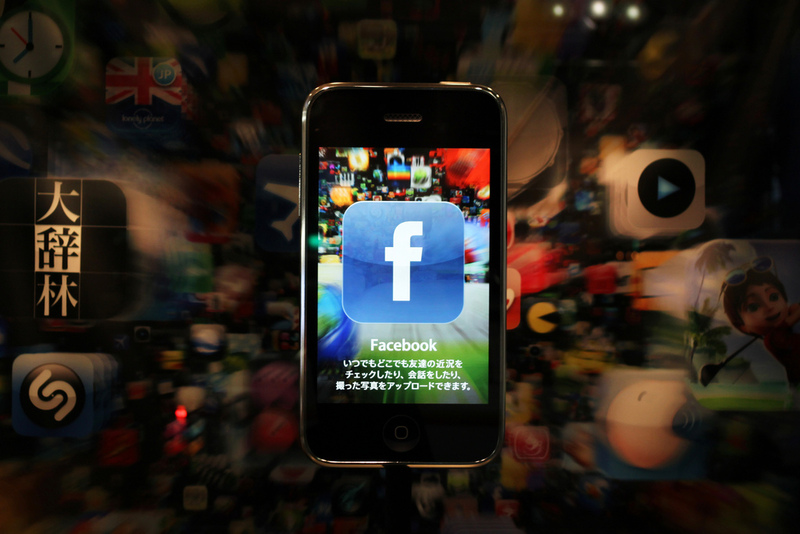 Facebook’s new app is its first update since April 2, but in that time the social network has continued to boom. In a fresh set of statistics which the company shared with The Next Web, Facebook highlights the fact that 543 million monthly active users used the company’s mobile products in June 2012 alone, with the social network now supported on more than 7,000 diffeent mobile devices (which either access or load its mobile site every day). If people aren’t using the app, they are accessing Apple’s App Store and Google’s Play Store. In fact, both apps saw 146 million people to both marketplaces over the last 30 days.